Your little mobile game became popular. Soon it turned into a huge project with complex codebase and tons of functionality. QA team is not able to test all features before the release. Number of bugs grows exponentially and players are leaving. Sounds familiar? Good solution is test automation, but how do you automate all the complex interactions with non standard UI and no solutions available on the market? In this talk I will show the example of successful home made solution developed for real life project on Unity3D. Games are probably one of the most complex test automation candidates. Even if you are not a game developer you will find this talk useful as an extreme example. Filipp has a wide experience in mobile software development: from enterprise applications to graphically intensive video games. 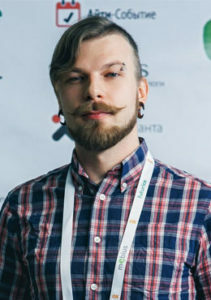 He is an active participant of young mobile gamedev community trying to bring such professional techniques as lean development and test automation. Filipp is a frequent speaker on tech conferences around Europe and Russia. Currently working in Creative Mobile company.